Inspired by pride and reverence for their ancestral homeland and traditional heathen beliefs, Hellebaard plays a unique mix of European pagan metal and Nordic black metal. Listen to Hellebaard’s battle hymns and hear the echoes of battle horns, knocking of weapons and armour, and cries of victory and death. Feel yourself wandering through ancient forests and over bare mountains, not tread by men before. Hellebaard is founded by it's two band members, Volmorth (guitars and keyboards) and Zarlack (bass, drums and vocals), after five years of performing and recording with their previous band. When this band, the Dutch black metal band In Ruins, broke up, Volmorth and Zarlack decided to start a new band. A band that would honour their musical heroes and influences like Bathory and Darkthrone. A band in which they could apply their folk and melodic influences. A band with a name that would reflect ancient battles and medieval history. Hellebaard was born. 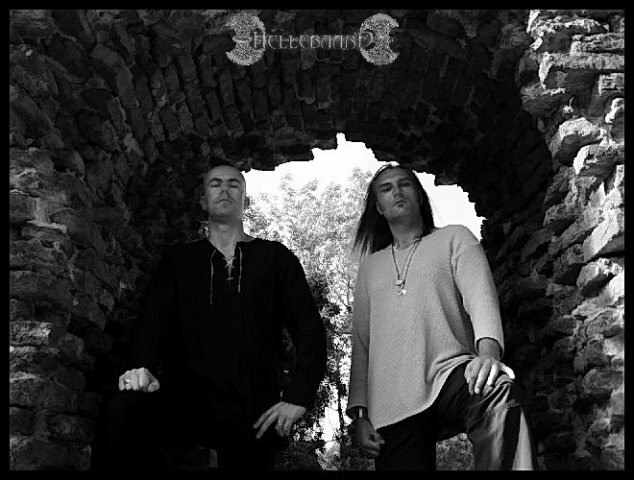 After founding Hellebaard in 2002, Volmorth and Zarlack started to write and record the first Hellebaard songs. These battle hymns were published online on MP3.com where they generated thousands of downloads in just a few months time, an extraordinary achievement for an underground black metal band. This caught the attention of Wandalen, a small German record label. 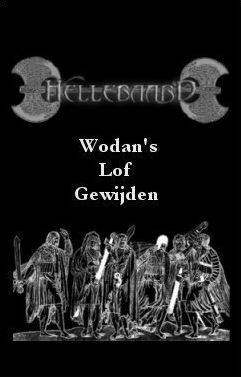 They released the Hellebaard “Wodan’s Lof Gewijden” promo in a limited edition in 2003, which has become a collectors item nowadays. When Wandalen quit it’s activities, Hellebaard started searching for a new record label. Several labels were interested, but Hellebaard chose for CCP Records because they are suited the best to Hellebaard’s music and identity. 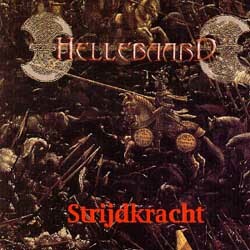 Hellebaard’s debut album “Strijdkracht” was recorded during winter 2003 and spring 2004, and released in autumn 2004. In the beginning of 2005, Hellebaard started writing songs for their second and latest album “Valkyrenvlucht”. With this album, Hellebaard has brought in more folk and orchestral influences, making “Valkyrenvlucht” even more versatile then the previous album without loosing the power and harshness Hellebaard is known for. Although Hellebaard’s Dutch lyrics speak of nature, battle, blood, honour, pride, and remembering our ancestors, they should not be explained in a political way. Hellebaard does not expound or reflect any political views.